Join the thousands of people who have who have learned how to sit comfortably and pain free by taking advantage of the brain's remarkable ability to change for the better. Wake up your brain and learn ways to move while sitting with NeuroMovement® Healthy Dynamic Sitting.Through the Anat Baniel Method® and NeuroMovement®, tap into the remarkable ability of your brain to create new patterns and possibilities and reach new levels of well-being and vitality in body and mind. Your aches and pains will diminish and your breathing will improve, as well as your thinking and creativity. You will be less likely to suffer from carpal tunnel syndrome and repetitive strain injuries. 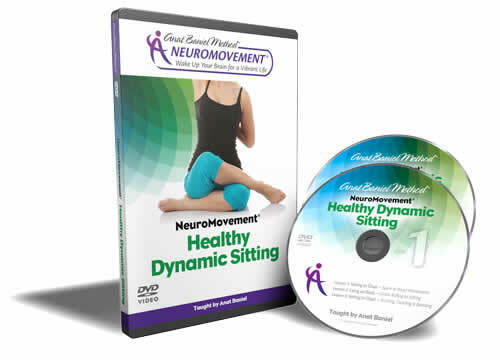 For best results, we recommend that you do this program after you have completed NeuroMovement® Whole Body Fitness and NeuroMovement® Better Balance. 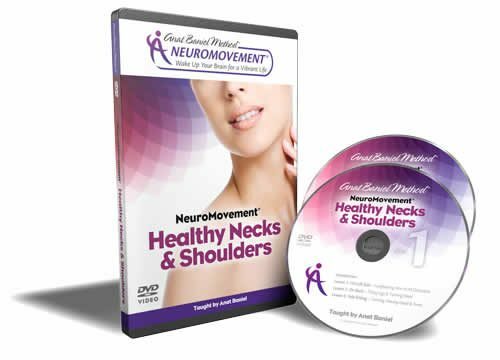 This program is number 3 in the 4-part series of NeuroMovement® Whole Brain & Body Fitness video programs.